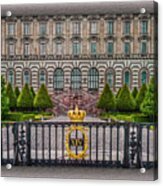 The Palace Courtyard by Hanny Heim - 10.000" x 7.375"
The Palace Courtyard framed print by Hanny Heim. Bring your print to life with hundreds of different frame and mat combinations. Our framed prints are assembled, packaged, and shipped by our expert framing staff and delivered "ready to hang" with pre-attached hanging wire, mounting hooks, and nails. So many wonderful patterns and textures! Wow! You've captured so much splendor! Very nice, Hanny. Like the symmetry. Thank you Along, for the feature in The Social Arts, I appreciate ! Thank you John, for the feature in Images That Excite You, I appreciate ! Awesome image Hanny, love to look at your stuff! 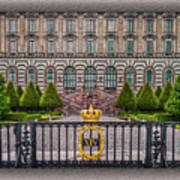 Excellent capture of the symmetry of building details and the beautiful landscape! 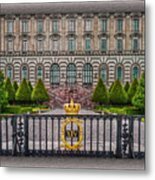 This is the Courtyard of Stockholm Palace. The Royal Palace is the official residence and major royal palace of the Swedish monarch. 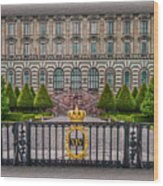 Stockholm Palace is located on Stadsholmen, in Gamla stan in Swedens capital, Stockholm.